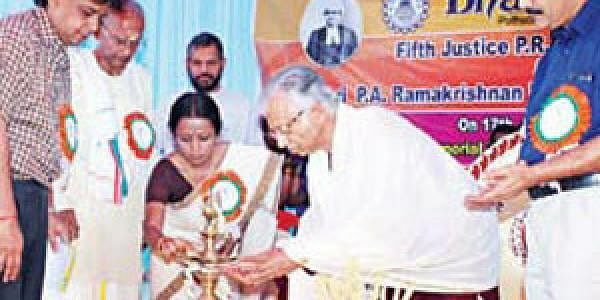 PALAKKAD: Sanskrit helps us identify our culture and creates awareness on the need to protect our heritage, said T K A Nair, Principal Secretary to the Prime Minister. At his inaugural speech after the presentation of the fifth Justice P R Sundaram Iyer and P A Ramakrishnan Memorial Award and Lecture at the Puthocode Centre of the Bharathiya Vidya Bhavan here on Sunday, Nair decried the divisions among people on the basis of caste and religion. “There is inequality among people and these tensions would make life miserable for them”, he said and added that “countries and people need to adopt a middle path and solve problems through reconciliation and dialogue”. Sanskrit scholar and secretary of the Bhavans Pathnamthitta Kendra P I Sheriff Mohammed delivered the presidential address. He also received the Justice P R Sundaram Iyer Memorial Award-2010 from T K A Nair. Bhavans Puthucode Kendra secretary R Ananthanarayanan in his introductory remarks said that P I Sheriff Mohammed was selected for the award as he conducted several national- level lectures in Sanskrit as part of the promotion of Sanskrit Vedas and Advaita philosophy. Sanskrit scholar and organizing secretary of All- India Samskritha Bharathi Dr N Nandakumar delivered the keynote address. Chairman of the Puthucode Kendra of Bharatiya Vidya Bhavan R S Narasimhan welcomed the gathering and administrative officer of the Kendra K Muralidharan proposed a vote of thanks.